The reason Amanfayun looks like a town that could have served as a backdrop in a period film from director Zhang Yimou is probably because it is an actual village. 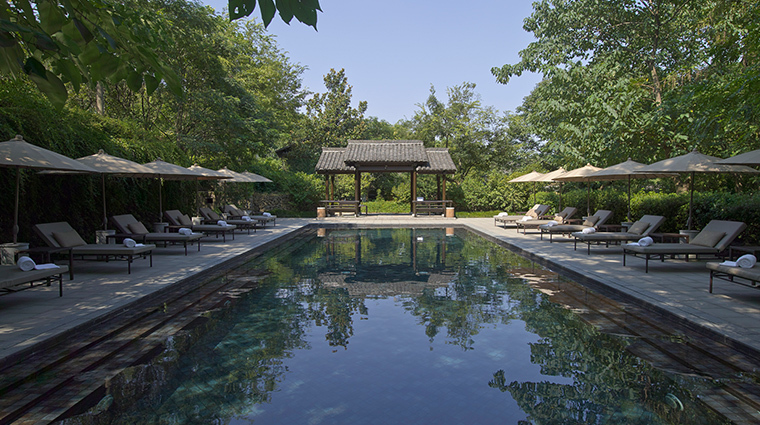 Sitting on a magical 34-acre plot near West Lake, a UNESCO World Heritage Site, the property consists of 47 stone dwellings, some of which are more than 100 years old. With stone pathways, clay-tiled roofs and bamboo stalks jutting from nearly every corner, the place has an Old World charm that doesn’t come off forced or fabricated. Of course, conjuring such a mood isn’t difficult when you have Buddhist temples and tea gardens within walking distance of your room. 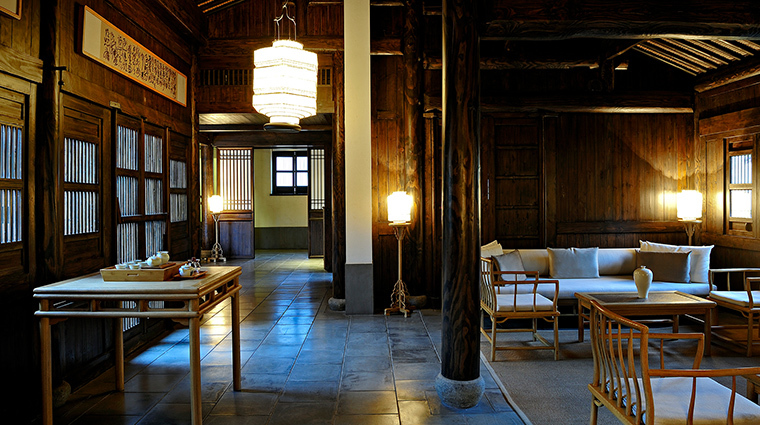 But location and latticework aren’t Amanfayun’s only timeless qualities. Treatments in the spa have been used for generations. Dishes in the restaurants go back even further. 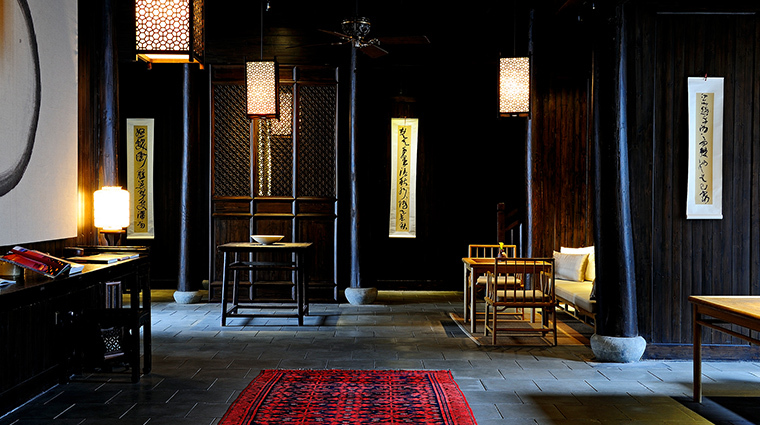 If the resort didn’t have so many modern conveniences, it could almost be mistaken for a village from the Qing Dynasty. 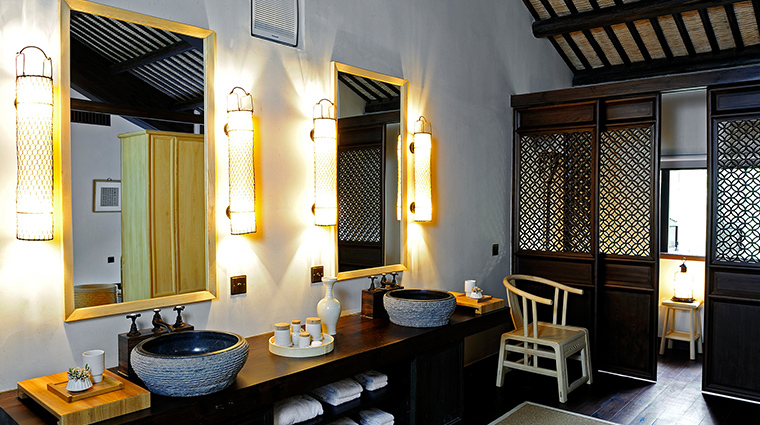 The tranquil Aman spa is not to be missed. 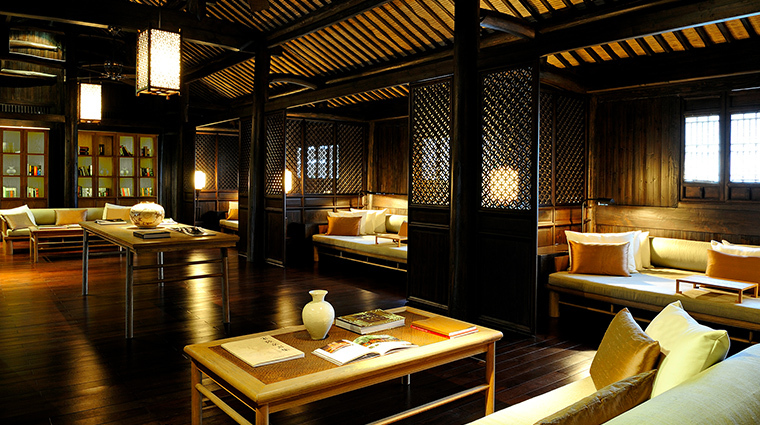 It specializes in traditional Chinese healing practices such as heated bamboo massages, acupressure and cupping. Discoveries abound throughout this peaceful property, whether it is a morning prayer session with Buddhist monks, a soothing nature walk or a visit to a neighboring tea plantation. 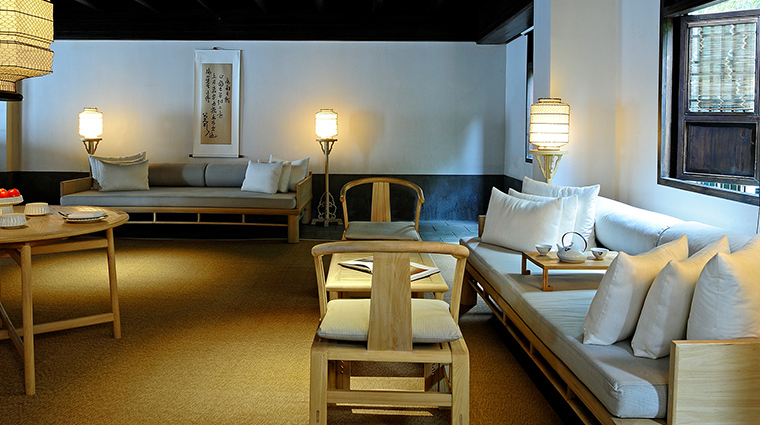 The appropriately titled Tea House is the charming spot to find a hot pot of Longjing, the same tea flavor that local villagers have drank for centuries. 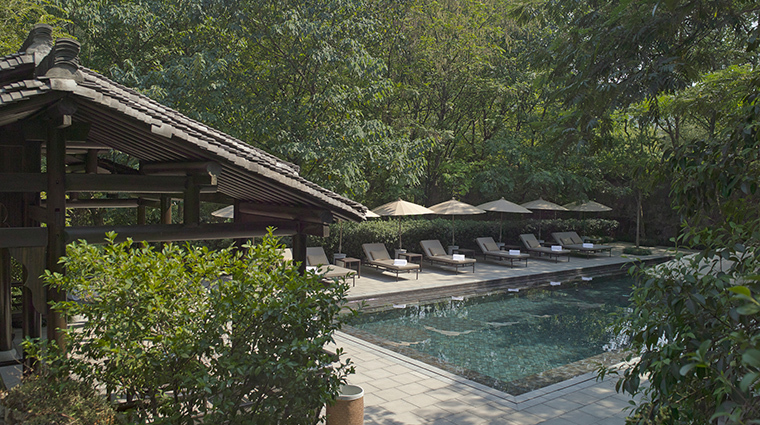 You couldn’t ask for a more tranquil location from a luxury hotel—nestled in a valley near a lake, surrounded by ancient temples, bamboo forests and tea fields, yet only steps from Hangzhou. Be immersed in local culture. 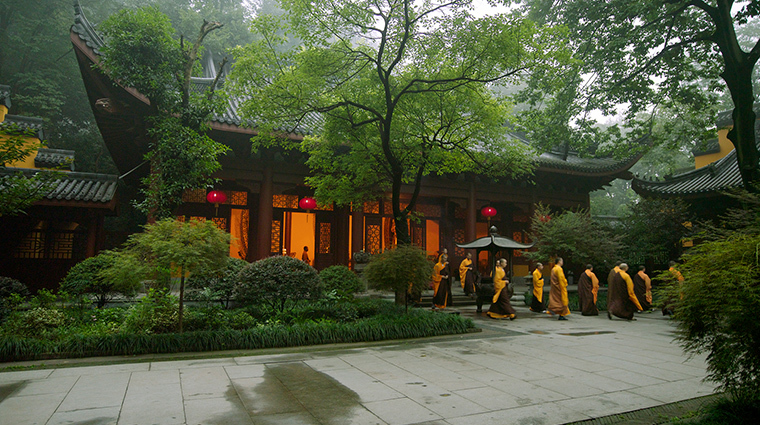 Amanfayun organizes informative talks on topics ranging from Buddhism and Chinese art, to regional cultural practices, tea rituals and traditional Chinese medicine for your enjoyment. 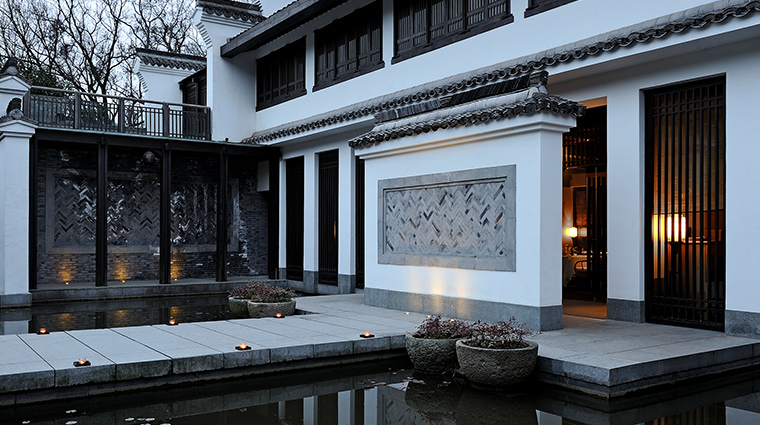 While exploring the the Hangzhou hotel, you’ll likely stumble upon Fayun Place, an 1880s-constructed wooden building that contains a revolving art gallery, library, lounge, cigar room and space for calligraphy classes. When it comes to food, what the resort doesn’t offer in quantity it more than makes up for in savory. In a slight culinary twist, Amanfayun’s simply named Restaurant cooks up more Western and European fare than traditional. The tranquil luxury hotel boasts its own master calligraphy artist who offers lessons to guests for a truly immersive experience. 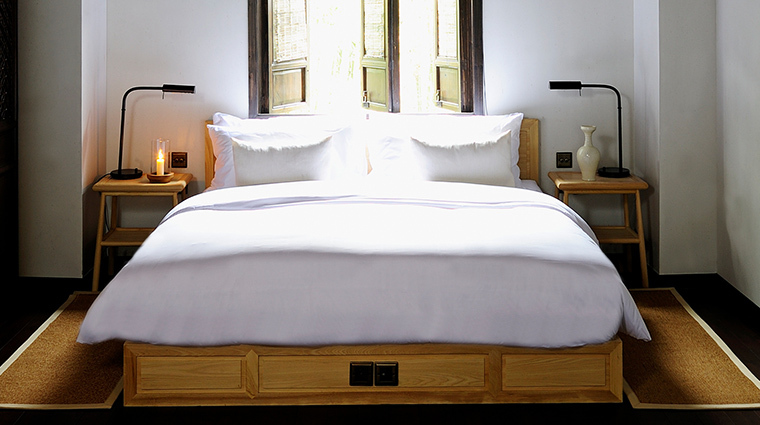 While the luxury hotel has five different unit types (village rooms, village suites, deluxe village suites, village villa and the 3,100-square-foot Amanfayun Villa), they all somehow evoke the same emotion — tranquility. 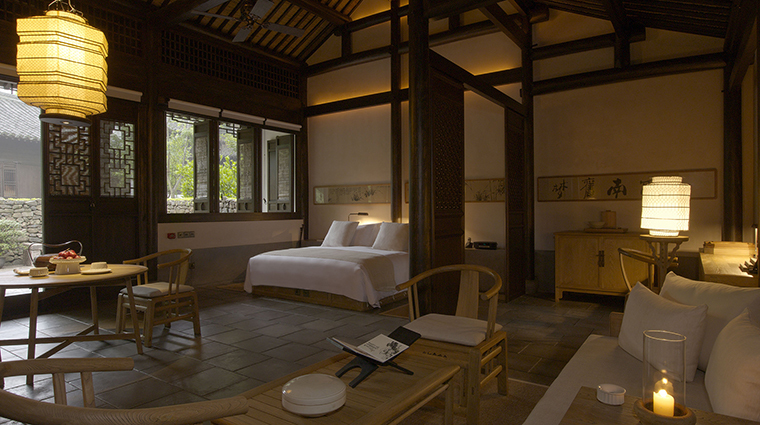 Each space has a unique configuration, but expect stone tiles, canopy beds and soft lighting to lead a calming charge throughout the property. Typical distractions like TVs aren’t readily available in all rooms, but they can be requested. When the flat-screen is delivered, it’ll only complement the unit’s minimalistic aesthetic by sitting in a wooden case at the foot of your bed. Bathrooms, as you’d expect, continue the theme of simplistic elegance with raised sinks, rice-paper lanterns and muted hues. 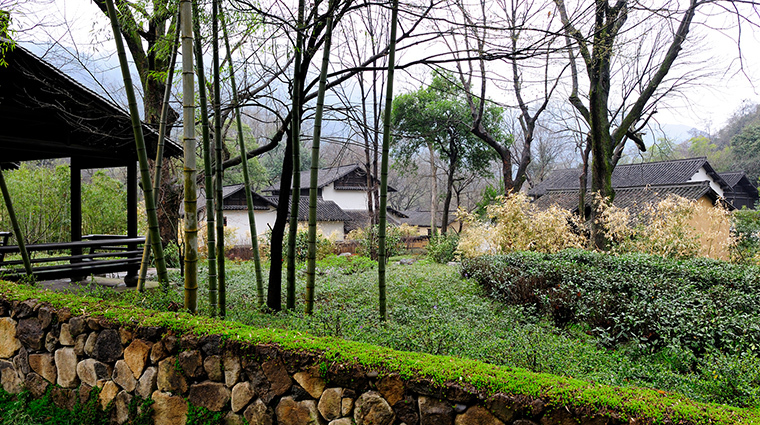 Explore the northernmost end of the historic hamlet and you’ll spot an entrance to Lingyin Temple, considered by many to be one of the 10 most important sanctuaries in all of China. Also known as the silk capitol of China, Hangzhou is home to the pedestrianized Hefang Street, which features a mix of old and new boutiques. Seven ancient Buddhist temples are accessible by foot from the resort, some of which are still in use. Also in Hangzhou is the Museum of Traditional Chinese Medicine, a haven for history buffs and hypochondriacs alike.